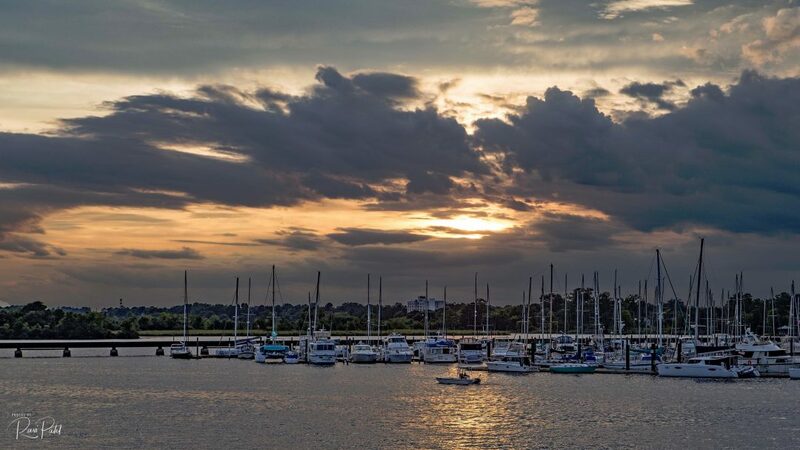 A lone boat traverses the harbor at sunset, probably late to dock. 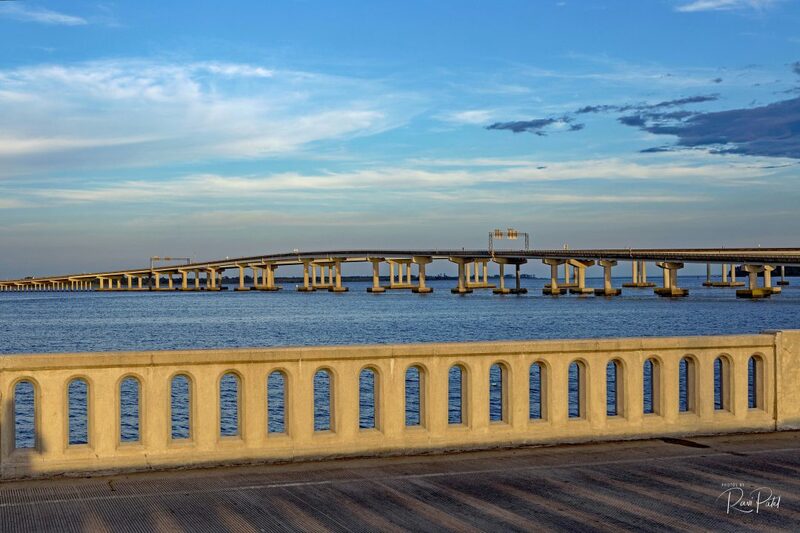 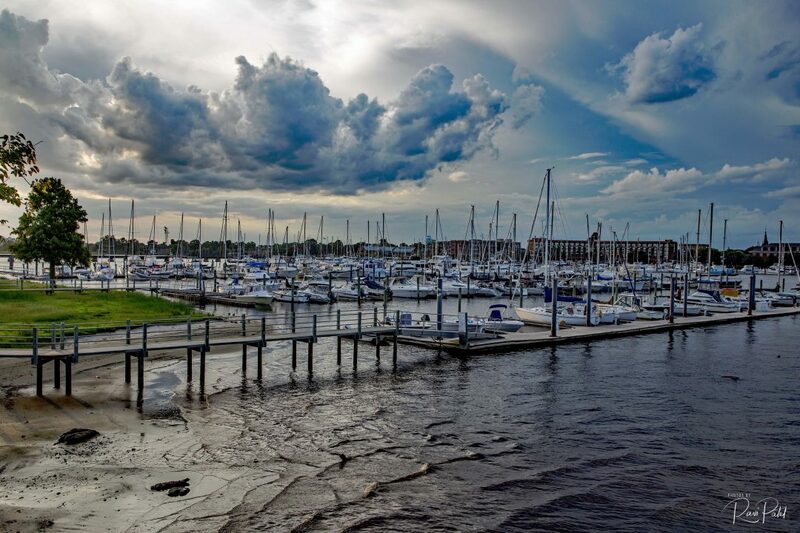 As we end our series of images from New Bern, North Carolina, we hope that the residents and businesses severely affected by Hurricane Florence recover and rebuild this beautiful town to its original state. 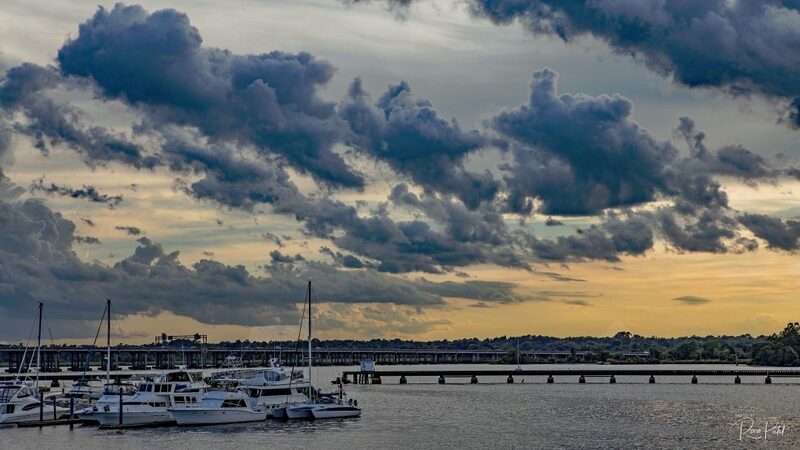 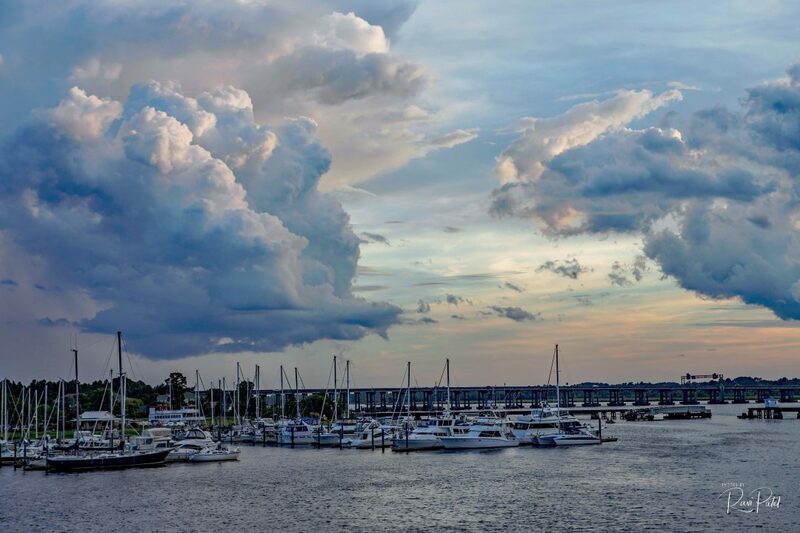 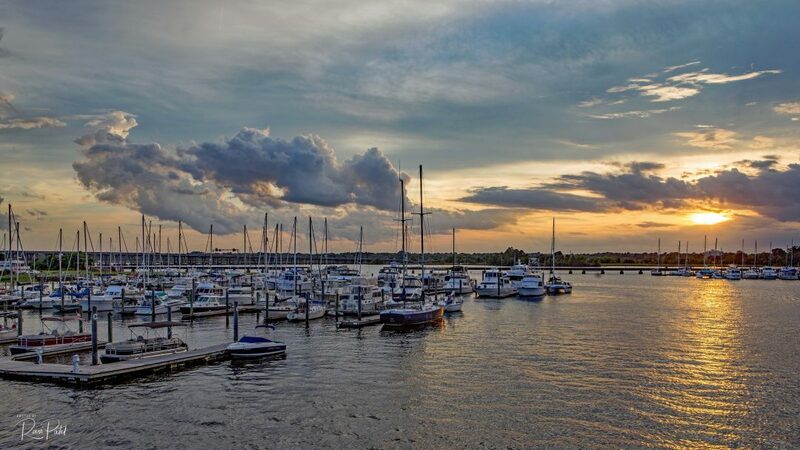 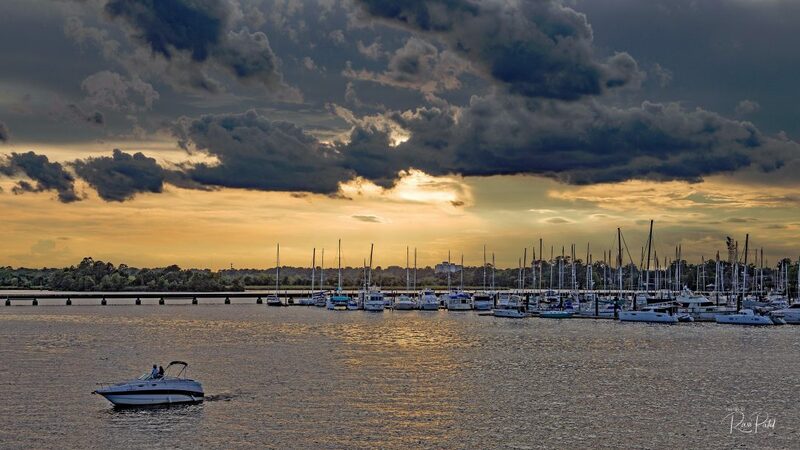 Dramatic clouds grace the sky at the harbor in New Bern, North Carolina.